Why are my Grass Mats sinking? PlaySmart often speak to clients who say that they have experience of their grass mats sinking so don’t like to use them. 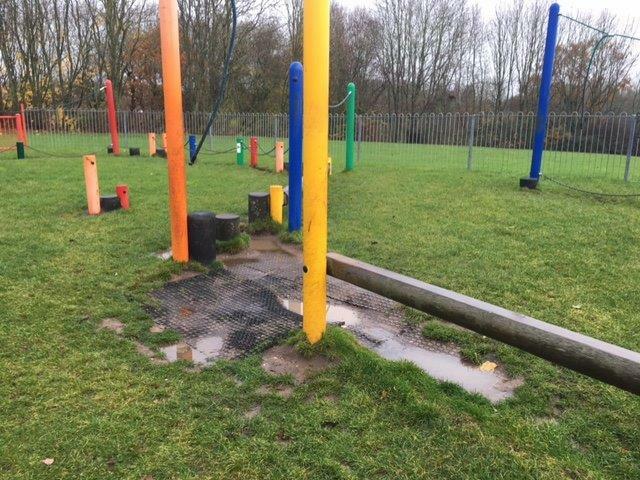 On good, stable, well-drained ground, grass mats are the perfect cost-effective solution for playground surfacing needing CFH (critical fall height) protection up to two meters. However if not maintained on a regular basis, in areas of wet, boggy earth or poor ground conditions can lead to grass mats sinking. PlaySmart always recommend the use of our SmartPlay system for grass mat sites where ground conditions could be called into question. This foam layer, installed under the mats encourages them to retain their position while still allowing grass to grow through the surface. We also have taken the lead in always recommending that a single layer of grass mat should only be used to protect against falls of up to 2 meters. For any equipment with a CFH above this, we would advise you to use SmartPlay as it enhances the fall height protection offered by your mat. If you have any existing problematic areas of surface in any product, please feel free to get in touch and we are happy to advise the best solution using our 13 years of experience. You can reach the team directly on 01564 742 811, or alternatively download our helpful guide to grass mats here.